Hebei is home to a stunning range of folk arts, including opera, dance, music, painting, craftsmanship, martial art and acrobatics. These traditional recreational skills have become an important means for local people to express their feelings, exchange views and enrich their own life experience. The county of Wuqiao is widely reputed to be the “hometown of acrobatics”. This hybrid sport and arts activity has a long history in the county. In a fresco found in an ancient tomb, dating back 1,400 years, many of the traditional skills still practiced today were clearly depicted. In recent years, the skills of the gymnasts in the area have been widely recognized, resulting in the founding of the China Wuqiao International Acrobatics Festival. During this annual event, acrobats from across the world flock to Hebei to demonstrate their skills. The celebration of this ancient skill has boosted Hebei – and China’s – reputation across the world. Paper cut is also a traditional folk art, long associated with the province. Also known as the “window flower” in China, paper cuts are often pasted on windows during Spring Festival in order to enhance the festive atmosphere. Weixian county is particularly famous for its paper clipping skills in China and throughout the world. 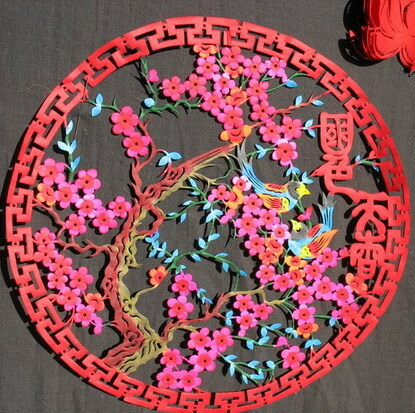 A number of the more refined items of paper cuts have been exhibited in the National Art Museum of China and in a number of exhibitions sponsored by the United Nations. To date, these products have been exported to 40 countries and regions throughout Europe, Asia, and the US.